the #1 Amazon Best Seller in Dark Fantasy and Dark Fantasy Horror! And for doing it on Halloween! And may your dreams become your destiny! 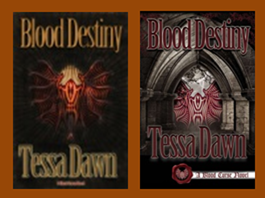 What's coming up next in the Blood Curse Series? How to stay involved until then? The Blood Curse Series TRIVIA QUIZ ~ Win a free autographed copy of the upcoming release! ***spoiler alert*** The "quiz" poses questions from the first four books. 1. Answers must be specific. 2. Answers must be posted here on the Tessa Dawn BLOG in order to be considered. 3. After each post, I will comment whether the answers are all correct -- or not (but I won't say which ones are incorrect ;-)). The first one to cross the finish line with all 25 answers, correct...wins. 4. The winner will be announced on November 1st, 2013 (the day after the release). The Blood Curse Series Super-Fan QUIZ. 1. What is Nathaniel Silivasi's middle name? 2. Braden Bratianu has a Vampyr brother: What is his first name? 3. In Blood Destiny, there were two lycans that entered the shed (when Jocelyn and Braden were attacked). One was Tristan Hart. Who was the second lycan? 4. In Blood Possession, Napolean deals lethally with Brooke's step father: What was his full name? 5. What is Braden's Constellation (ruling moon)? 6. Where did Brooke Adams live before she came to Dark Moon Vale? 7. Where did Deanna Dubois live before she came to Dark Moon Vale? 8. Which vampire runs the Dark Moon Vale CASINO? 9. Who is the Chief of Security at the Dark Moon Vale CASINO? (Hint: He's human). 10. Name Ciopori Demir's three siblings (alive and deceased)? 11. 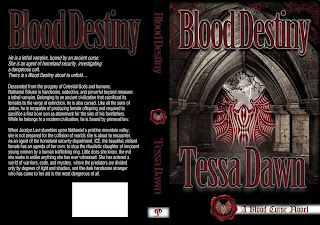 Shelby Silivasi's destiny was named Dalia: What is her last name? 12. In Blood Awakening, Marquis "deals" with a biker gang. One of the members is named Dirk Warner. What does he have tattooed on his neck? 13. Nachari Silivasi graduated from the University as a Master Wizard? Name one of his wizard classmates. 14. Where is Jocelyn Levi from (what city/state)? 15. Joelle Parker met a tragic end in Blood Destiny: What is her father's name? 16. Ramsey Olaru has two brothers: Which one is his twin? 17. What kind of car does Kristina Riley-Silivasi drive? 18. What did Marquis & Ciopori's name their son (full name)? 19. What kind of car does Nachari Silivasi drive? 20. What is Napolean Mondragon's constellation (ruling moon)? 21. What was the name of the demoness that followed Nachari out of the Abyss? 22. What did Napolean & Brooke name their son (full name)? 23. Salvatore Nistor has two brothers (one living, one deceased): Name them both. 24. Salvatore Nistor orchestrated a coupe to kill the first Dark Chief of Council (Chairman)? What was his name? 25. What did Tiffany Matthews do for PRIMAR? 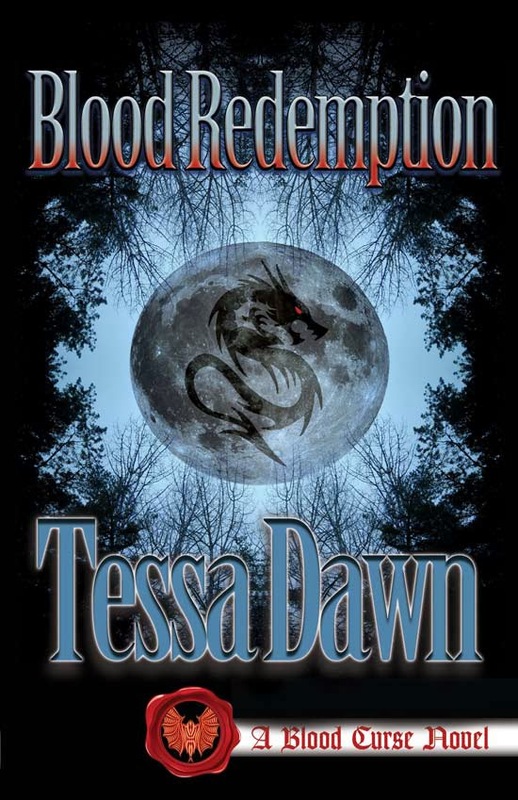 I'm looking for a handful of die-hard Dark Moon Vale enthusiasts to help get the word out about the upcoming Halloween release of BLOOD REDEMPTION (#5 in the Blood Curse Series). A Street Team pretty much travels all over the internet the week of a New Release and "shouts, blogs, posts, tweets, and pimps (did I say that?) the latest release & the series... . In short, they get the word out in spectacular fashion. 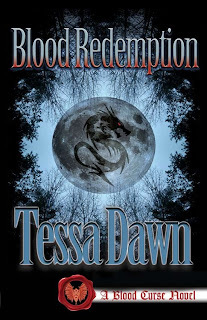 If this sounds like something you would like to do, and you have the time and enthusiasm to jump in with both fangs...I mean, er, feet...then please send an email to: author@tessadawn.com with "Street Team" in the subject and your direct email address in the body. Over the next couple of weeks, I will be contacting the team via email list to let them know what we hope to do and what I hope to provide in exchange... And for those of you who love the series but don't have time -- no worries! I couldn't adore ALL my readers more, and I'm looking forward to having a lot of fun with this new release...in all the ways we share our love of vampires .